St. Louis, Missouri racer Brad Loyet has spent his whole life chasing race tracks. In February 2018, Loyet was seating the bead on a race tire. To do that, tires are inflated until the tire is flush against the edge of the rim. In the blink of an eye, a racers worst nightmare happened. The tire exploded. Loyet suffered a broken wrist. In addition, the impact generated enough force to imprint a bruise on his leg in the clearly defined shape of a bead-lock rim. 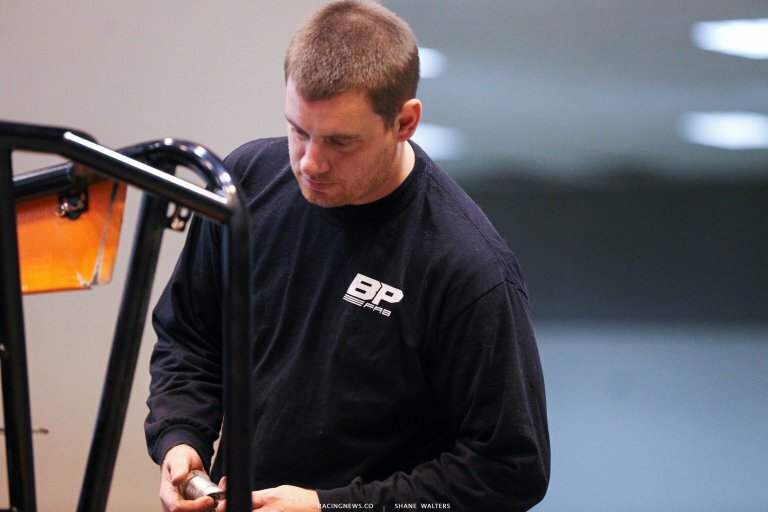 The 30-year-old driver hasn’t been in a car since the incident at the race shop earlier this year. 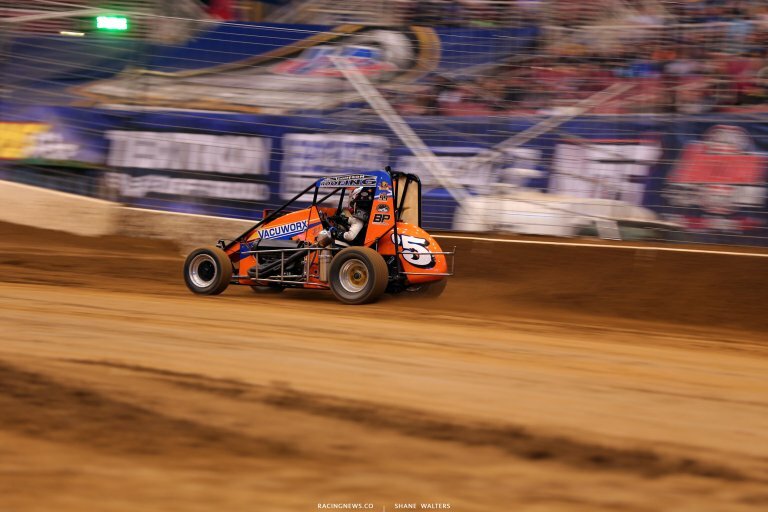 For 2018, the Gateway Dirt Nationals has added a class of dirt racing midgets. The race sits just a few miles from where Loyet grew up and where he’s still based. That’s a tough race for him to sit back and watch. This weekend, he’s on site in the convention center of the Gateway Dirt Nationals event in downtown St. Louis, Missouri. The Loyet Motorsports team has prepared a dirt midget for Kevin Thomas Jr and Brad Loyet is turning the wrenches as quickly as he’s allowed. Beyond wrenches, Loyet told me that if he had an invite to the Gateway Dirt Nationals, he would have jumped in the car and grabbed the steering wheel. It struck me when you said you wish you had an invite to this race. Not to be too blunt, but I was under the impression you wouldn’t drive again? “Well, I mean, it’s in my backyard so coming here… I would make it happen,” Brad Loyet told RacingNews.co. The midget division of the Gateway Dirt Nationals is invitation only. There are no free range entries for the newest class under The Dome. You haven’t driven since right? So, if you would have gotten an invite would you have made it work with one hand? Is there a plan to get back in the car? Doctors are thinking that after a couple more surgeries you’d improve significantly or something else? Have you tested at all? Just turned laps for the heck of it somewhere? What is your involvement with the team now? It’s just that you have a car so you might as well rent it out? When it comes time to update the equipment, do you plan to? The name of the company is BP Fab. The company was founded in 2015 with the goal of bringing affordable performance to the dirt track racing world.